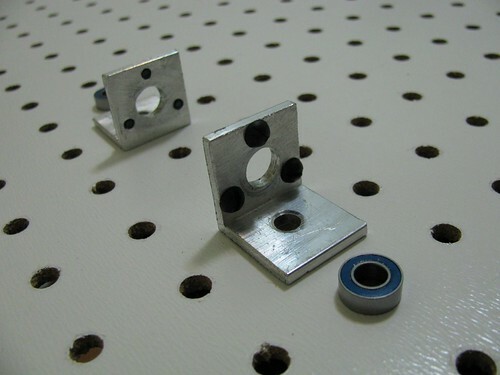 The shaft mount is about 1" long angle stock with standard hole in the base leg and 3/8" hole in the center of the opposite leg, surrounded by three 6-32 screws. The bearing fits in between the heads of the screws. 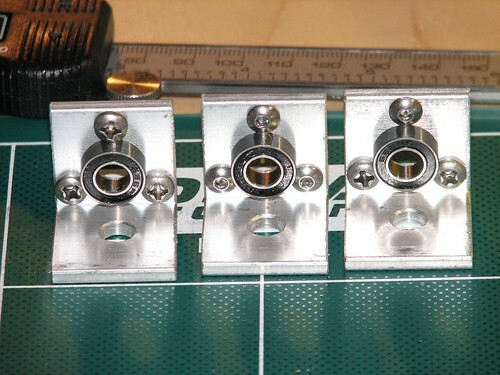 Each shaft requires a pair of mounts. Make the angle piece from SVG or PDF template, according to the instructions in Howto section. Be sure to puncture templates and center punch hole centers accurately, as it's important for this part.